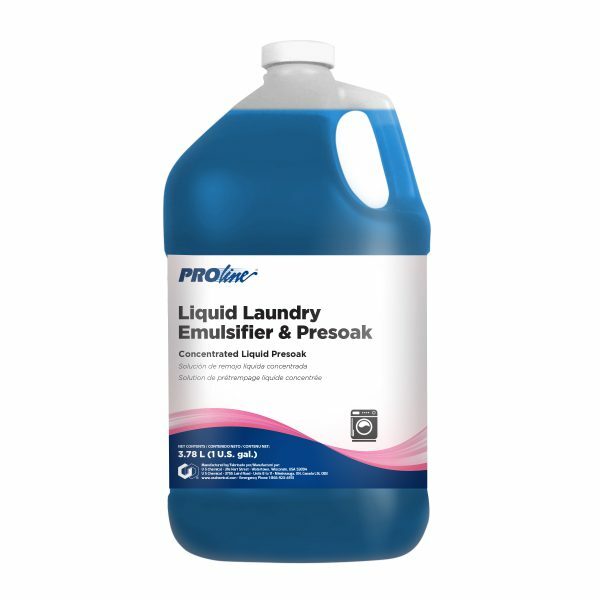 This product is a concentrated laundry emulsifier/presoak especially designed for the institutional laundry operation. Where soil loads are heavy, this product will begin to break down the soil prior to the wash cycle. It is fortified with special grease emulsifiers that will tackle the job. It’s a must where stubborn stains are difficult to remove during the regular wash cycle.